Africa is a region with a long and glorious history, with hundreds of distinct cultures and traditions. From the Egyptians to the Zulus each culture has produced some of the greatest warriors and most powerful leaders in the world. From discerning tradesmen to distinguished scholars – here are just a few of the fascinating figures from African history of legendary African rulers. No list of legendary African rulers would be complete without at least one Egyptian pharaoh, and while plenty of pharaoh’s have faded into obscurity over thousands of years since they ruled, a select few have made their mark. 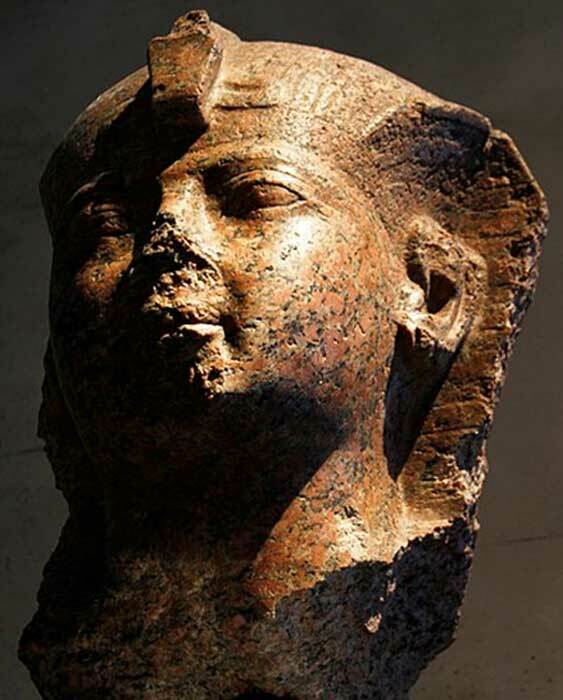 Hatshepsut was the only child of Pharaoh Thutmose I and his primary wife, and she was married to Thutmose II a half-brother by a secondary wife. As queen consort she already assumed many of the roles of pharaoh, but after the death of her husband she formally adopted the title in 1478 BC. She was well educated, understood the religion of her people, and as the daughter, sister AND wife to kings she had an undeniable blood-right to the position. She was easily able to utilize these things to her advantage, becoming widely accepted by Egyptologists today as one of the most successful pharaohs. She established important trade routes, completed a lot of significant building projects, and is remembered in monuments as a great pharaoh. Moreover, she is the earliest known woman to have significant power. Most people will have encountered the phrase “who does she think she is – the Queen of Sheba?” at some point – but was there ever a real Queen of Sheba ? And what did she do that was noteworthy it coined a phrase? The remains of a grand stone palace in Aksum, which is in present day Ethiopia, are believed to have been the home of the Queen of Sheba . There is no surviving record of what her real name was, but in North Africa today no one questions whether she was real or not. She is considered by Ethiopians to be the mother of their nation, and the founder of a dynasty which only died out with the last descendent, Haile Selassie in 1975. She is a well-documented historical figure in the Bible . Ezana of Axum ruled the kingdom of Aksum in the 4 th Century AD. The kingdom was vast and covered current day Northern Ethiopia, Yemen, some parts of southern Saudi Arabia, northern Somalia, Djibouti, Eritrea, and some regions of Sudan. He inherited the role from his father, who died while Ezana was still a child. He is notable for being the first king of Aksum to convert to Christianity. He was a kind ruler and he cared deeply about the happiness of his people. He was a monument builder, erecting a number of obelisks and stelae during his reign. Despite this, he is best remembered today for his Christian faith and he is regarded as a saint by the Ethiopian Orthodox Tewahado Church. She was purportedly extremely wealthy and archaeological excavations at Aksum in 2012 discovered evidence of an enormous ancient gold mine which would have been a very legitimate and abundant source of wealth for the queen. Further excavations in 2015 discovered two female skeletons , both of which were buried in a regal style with extremely valuable jewelry. This tangible evidence that the legend may be real is further backed up by the fact that 90% of Aksum is unexcavated – with legends about the Queen being confirmed already, it’s highly likely there will be further confirmation that she really did exist as further work is completed at the site. Musa I was the tenth Mansa (sultan or king) of Mali. His reign was between 1312 and 1337 AD. 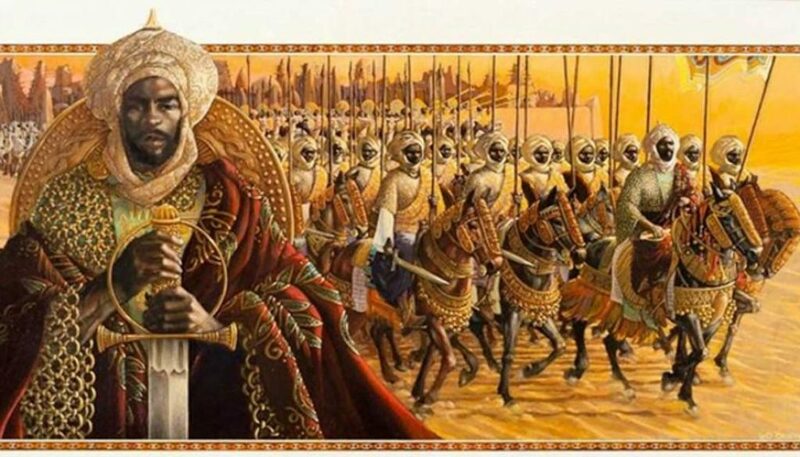 He was an extremely powerful leader and under his leadership Mali was able to conquer 24 cities. He had a great deal of nick names and titles, including the ‘Lion of Mali’ and ‘Conqueror of Ghanata’. One of his nicknames, ‘Lord of the Mines of Wangara’, was due to the fact he was in control of all the gold mines there. This contributed to the fact he was exceptionally rich – his contemporaries described him as “inconceivably wealthy”. Both Time and the BBC have commented on his wealth from a modern view point, with the latter declaring him the richest man of all time. With such unimaginable influence, wealth, and control Musa I would fit in comfortably in a show like Game of Thrones today. Tunka Manin was the Ga’na (ruler) of the Wagadou from 1037 – 1075 AD. He was described in contemporary accounts as a lover of justice and he settled many disputes within his empire personally. He became known for his involvement in communities and for the fact he greatly boosted the economy of the empire. He was able to further cultivate his public image through projecting an air of magicand mysticism. Unfortunately, Tunka Manin was the last ruler of the Wagadou, as the empire fell due to a number of factors including disputes about the region converting to Islam. Amina, or Aminatu, was a warrior queen of the Zaria Emirate, which is in modern day Nigeria. She is the subject of many legends and ruled at some point in the 15 th Century, though the dates are uncertain. She conquered many cities and ruled for 34 years. She was a legendary and eager warrior, and as a child her grandmother found her wielding a dagger as nimbly as any warrior. Like many other female regents, she refused to marry so that she would not risk losing any authority. One of her less fearsome legacies is that she introduced the cultivation of kola nuts to her kingdom. Ewuare I was the king of the Benin Empire for the latter half of the 15 th Century AD. His rise to power was a violent and bloody one, and the result of a vicious coup against his own brother which destroyed much of the capital of Benin. 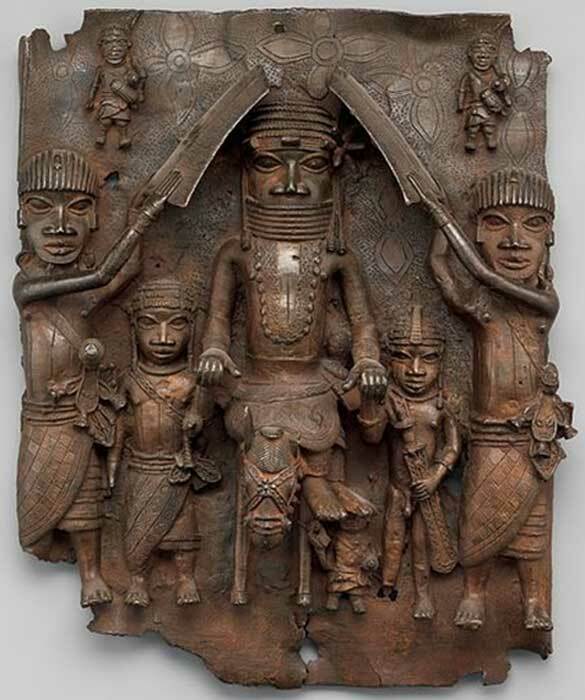 Despite the violent start to his reign, Ewuare earned his title of ‘The Great’ by rebuilding much of Benin City, reforming political structures, becoming a patron of the arts, and expanding the territory of the empire. He increased and expanded trade with other nations, which helped him to foster the arts and it is due to him that ivory and wood carving became more popular. He was an indisputably real historical figure, but he was such a powerful man that many believed he held magical powers, which is attested to in much of the artwork of the era. An annual festival called the Igue festival was originally held to renew his magical powers but it is still celebrated in Benin to this day. Even today people know that the Zulu warriors were exceptionally skilled in combat. The military innovations adopted by Shaka Zuluhelped to cultivate their warrior culture and fearsome reputation. But Shaka did not always resort to war, he was a skilled diplomat and was often able to negotiate with his adversaries. At the height of his ten year reign Shaka ruled over 250,000 people and commanded more than 50,000 warriors. Shaka’s rule was cut short when he was assassinated at around the age of 40 by his own brothers, and today the Zulu people view him as both a heroic leader for his clear skills as a king and a despot due to the massive number of people that were killed on his orders. Shaka may be the best known Zulu, but he is not the only legendary Zulu king. 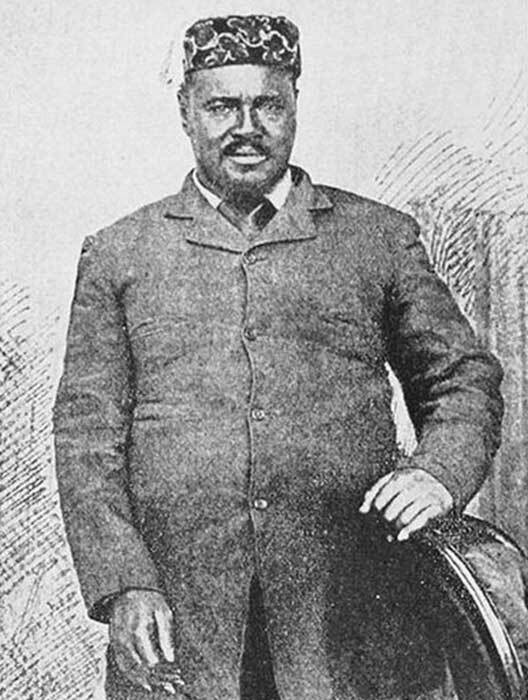 Cetshwayo kaMpande was leader of the Zulu Kingdom during a time of great turmoil in the region. The British were invading Africa using excessive force. Cetshwayo refused to stand down, instead sending 20,000 Zulu warriors with their traditional spears and distinctive cowhide shields to fight against British troops armed with rifles, mountain guns, and an early type of rocket. Under Cetshwayo’s command the Zulu warriors wiped out nearly all of the poorly organized British troops, losing only around 1000 of their own. The decisive Zulu victory was the greatest defeat the British had ever suffered against indigenous tribes with more primitive weaponry, but rather than negotiating peace as Cetshwayo hoped, they took a far more aggressive approach sending in a second wave of heavily reinforced troops. Cetshwayo died at around 60 years of age from an assumed heart attack but it is theorized by some that he was poisoned by a rival. Béhanzin (Gbêhanzin) Hossu Bowelle, which translates to “the egg of the world” or the son of the shark” he became known colloquially as ‘The King Shark’ and he was arguably the most powerful ruler of West Africa at the end of the 19 th Century. He commanded a powerful army served by both 150,000 male and 5000 infamous Amazon women and was perceived as a courageous and wise ruler by his people, but as the French were attempting to take over his kingdom he was the victim of a great deal of propaganda. He was portrayed as a vicious man who ruled over savages. One example of this propaganda is the tale of an Amazon warrior who killed French soldier by ripping out his throat with her teeth – the French left out the part where she was forced to resort to this when she ran out of ammunition in battle and was in a life or death situation against the head of the French Military Intelligence. Despite his fierce army and wisdom, Béhanzin was defeated by the French who had far more advanced weapons and greater numbers of units and he served out the rest of his life in exile. The countries and cultures that make up Africa have produced some of the most legendary and powerful figures for thousands of years. Even though many of the cultures, such as Ancient Egyptian dynasties and the Sabaen culture of Sheba, have long since been lost to time, the people who ruled them live on in folklore and legend, and many of them are still celebrated for their bravery and achievements today. Top image: An artist’s depiction Sunni Ali Ber, African warrior king of the Songhai empire. Source: HistoryNmoor / CC BY-SA 4.0 .